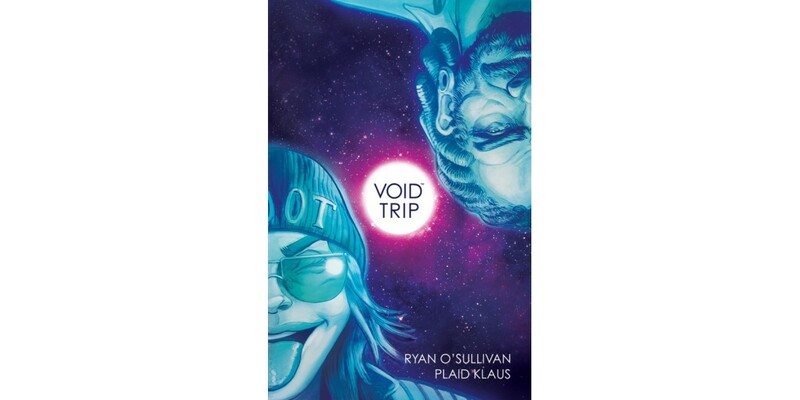 Ryan O’Sullivan (Turncoat, The Evil Within, Warhammer 40,000) and Plaid Klaus’ (Turncoat) sci-fi road trip miniseries VOID TRIP will be collected in a conveniently bingeable trade paperback this May from Image Comics. Meet Ana and Gabe—the last two humans left alive in the galaxy. They're low on fuel, they're low on food, and they're low on psychedelic space froot, but they're still determined to make it to the promised land: hippy-paradise super-planet Euphoria. VOID TRIP is the story of their journey, the friends and enemies they made along the way, and how the universe responded to those who dared to live freely within it. VOID TRIP (ISBN: 978-1-5343-0668-4, Diamond code: MAR180629) hits comic book shops Wednesday, May 30th; the final order cutoff deadline for comics retailers is Monday, April 16th. It will be available in bookstores Tuesday, June 5th and can be preordered via Amazon, Barnes & Noble, Indiebound, Indigo, and Books-A-Million.